I awoke somewhat surprised to find an article on eSports on the biggest Dutch news-network. I was hoping for a constructive article, but it turned out to be just another article perhaps only used for future reference. It did put me on a hunt for some more information in the bureaucracy of eSports in general, and I found some disheartening news towards the current standing of eSports. I was pleasantly surprised this morning, as I saw an article on eSports on the NOS (the Dutch equivalent to the British BBC). The main focus of this article: the Dutch eSports association is making a push to join NOC*NSF (Dutch Olympic Committee*Dutch Sports Federation) to legitimize eSports as a real sport. Worldwide, eSports is growing as a whole, and so is the Dutch eSports scene. NOC*NSF membership would mean a big deal. It is the national representative body to the International Olympic Committee, and counts about 90 members, ranging from the national Aikido association to the KNSB, our Speedskating association. Not only would membership legitimize eSports, but it will also support athletes financially and make it easier to set up tournaments on a national scale. Still, there are some misconceptions and obstructions in the article left unclear, which I will aim to describe further in this article. The article claims the Dutch eSports scene is still in its infancy. If you look at competitors and their nationalities overall, this is quite true. While countries such as Ukraine, Russia, Sweden and the United States have far more athletes competing on a global level, we’ve had our fair share of successes in the past. Every self-respecting Dutch eSports-fan knows Manuel “Grubby” Schenkhuizen, who started competing in Warcraft 3 as early as 2003, even taking the title of the world’s best Warcraft player in 2005. He kept competing in Warcraft 3 until 2011, when he made the switch to Starcraft II. He even starred in a documentary, “Beyond the Game“, in which his rivalry with Chinese player ‘Sky’ was highlighted. Another early example is Wouter “Handewasser” van Someren, who, in 2006, first competed at the World Cyber Games in Project Gotham Racing 3. Though not successful at first, he won the title in 2007, and subsequently again in 2008 with the game’s sequel, Project Gotham Racing 4. This earned him the title of youngest person in the World Cyber Games’ Hall of Fame at age 17. Even though he made the switch to Forza Motorsport, Handewasser has slid back into obscurity after these successes. Nowadays, one of the biggest Dutch players in eSports is WehSing “SingSing” Yuen. He has a cult following that often overflows international message boards such as Reddit, often to the annoyance of others. SingSing plays Valve’s DotA2, a MOBA/ARTS (Multiplayer Online Battle Arena, or Action Real Time Strategy) professionally, earning a shared 5/6th spot at 2014’s ‘The International’ with his (now ex-)team Cloud9 securing a shared ~650.000$ in prizemoney. He has since made the move to form his own team, Team Tinker, which is now under guidance from Good Game Agency, arguably the biggest eSports organization in the world. His popularity on the internet has spawned many fan pages, such as the subreddit “Beaverknight“. Besides being a professional gamer, there are other ways to earn a living in eSports. Prime (Dutch) example of this is Jorien “Sheever” van der Heijden, a professional commentator and presenter in DotA2 who has earned adoration with both fans of eSports and professional gamers alike. Even though her casting is in English (and honestly, has quite a thick accent) she has made a name for herself in the DotA2 community for her casting (and failed ravages). a. Unite all those in the Netherlands that practice “electronic sports” or serve this sport in any way. b. Look after the common interest of the members. c. Work together with organisations in and outside of the Netherlands in order to improve the goals that are set. d. Cooperate with, or help organise and improve competitions. f. Publishing one or more Electronic Sports magazines and other publications. h. Promote founding of Electronic Sports clubs. i. Organise or help organise workshops and education. j. Using all other legal goals that can improve the goal. k. Improve the level of the sport and its presentation to the outside world. However, the same article that provided me with these goals (from 2005) also stated they would be making the push for NOC*NSF membership. Therefore, this raises a few questions. Why has nothing happened since 2005? Why aren’t there any tournaments of note in the Netherlands? What has the Dutch eSports Association done since 2005 to help achieve the goals they set out to do in 2005? Or even, what good is a national eSports association if they aren’t acknowledged by the body aimed at representing them? The problem runs a bit deeper though. Saying the Dutch eSports Association is to blame is unfair to them. First of all, their website looks as if it hasn’t changed at all since 2005 – which is not necessarily a cause but an effect. The association is run by three people, Jasper Schoo (Chairman), Rody de Lange (acquisition) and Rutger van der Heijden (project leader for youth competitions and education). All of these individuals have, judging from a quick google search, another career next to their eSports activities. It seems to be run by these three on a voluntary basis. The article on NOS made me feel optimistic that they finally are willing to make a change, but it also noted a difficult hurdle. In order to gain NOC*NSF membership, eSports has to be acknowledged first by the international federation ‘SportAccord‘. This is standard NOC*NSF practice, written in their bylaws. The problem is that until eSports is legitimized internationally, it can’t be legitimized in the Netherlands. Until then, the Dutch eSports Association is nothing but a shell, only important to those that care enough about it. I myself, on some differing levels involved with Dutch eSports since around 2007, hadn’t heard of such an association even existing. Or at the very least, had totally forgotten about them because of their insignificance. 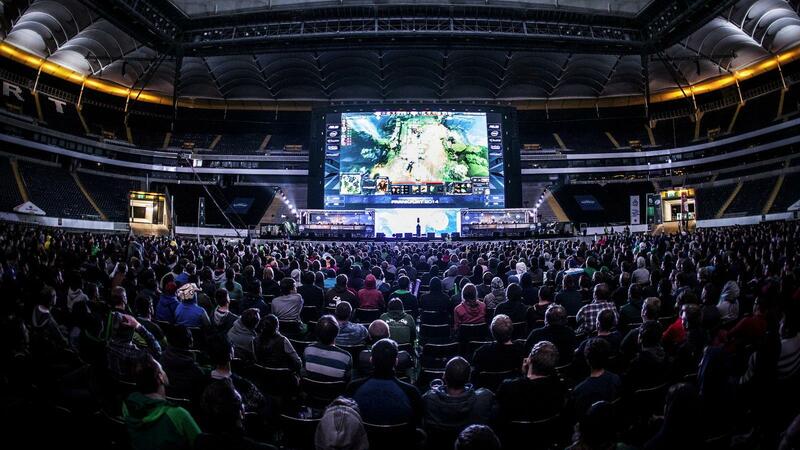 There are multiple success stories to be told about eSports organizations around the world. One example is the Swedish side, the SESF. which is run by former professional Quake Live player Magnus Jonsson. Their involvement has helped Dreamhack become such an important event, and has led to Swedish players being relatively overrepresented in certain games, particularly DotA2, with full Swedish teams such as Alliance (winner of TI3, 2013’s The International). Another success story is the Association for Chinese eSports (ACE). The Chinese have been dominating the top of the DotA2 charts for some time now, a fact which is further proven by the all-Chinese final of 2014’s The International (TI4). The biggest eSports Association is without doubt the International eSports Federation (IeSF) which aims to act on behalf of all national eSports-associations. The IeSF, however, has been dominated by the South Korean scene for years now, mainly supporting Starcraft since it has been the biggest game in South Korea for over a decade. Due to League of Legend’s ever-growing popularity however, it has been forced to let it share Starcraft’s platform. The main problem however, is that other international competitive games (like DotA2 previously, or Counter Strike: Global Offensive) are not given the same dedication since the South Koreans have not yet discovered them yet. On top of that, the IeSF has made some questionable decisions in the past. Not that long ago, gamers were outraged because of a gender division between teams. They ultimately had to reverse their decision on keeping women out of male divisions due to international pressure. The IeSF is a biased organization, with not enough insight into what the next big thing would be. And, while researching their history, I found that they have applied to SportAccord to legitimize eSports as far back as July 2013. They promised eSports to be acknowledged by April 2014, which obviously hasn’t happened yet. There hasn’t been any further communication about this ever since. Due to an already existing pattern of lack of communication by the IeSF, I think they just ‘forgot’ to tell everyone that the application has been denied. eSports have been growing all around the world, even in countries without associations. Then, why would we need associations? Good players would eventually make it to the top themselves anyway because of their skill. Their involvement could be beneficial in multiple ways. For one, they can act as spokespersons to ‘normal’ media. I hate to use stereotypes, but the gamers themselves aren’t known for their charismatic interviews. Most of them started gaming to escape reality, and being pushed a microphone into their faces is still troublesome to most players. Even SingSing, for some one of the most ‘edgy’ pro-gamers, seems to have to force himself to say things during interviews, often leading to awkward situations for both interviewer and interviewed. Another use for them would be to organize ‘beginners’-tournaments. Becoming a pro is, as with all sports, only for the select few that possess exceptional skills in what they do. Starting at a ground level with kids, would make them more enthusiastic about the prospects of professional gaming and guides them on their way towards the top. Sure, not all are talented enough to make it, but not every 8-year-old kid grows up to be a professional footballer as well. Simply practicing online would not be enough eventually, since playing with random strangers offers a whole other playing field than playing in a coordinated team. 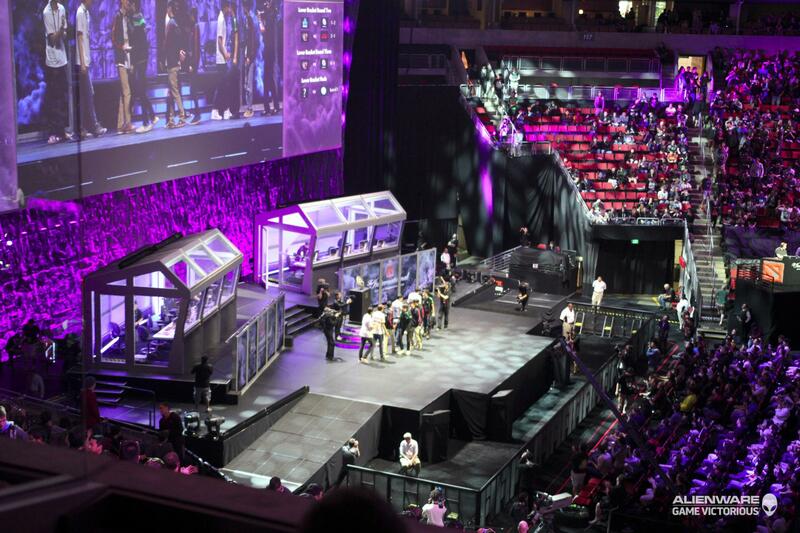 These two factors work towards legitimizing eSports. But, without legitimized eSports, these things can’t really happen. They (the associations) need the financial support to operate in such a way that the two factors described above can start to happen. Three volunteers is not enough. It needs to be a fulltime job, with trained professionals instead of hobbyists. A good way would be to seek sponsors, but not every country has the same audience so sponsors are not an option for every association. A structure much like Valve’s tournament passes might work, but then the associations should have something to offer in return – something which they currently don’t have. Even though we have some representation, but our representation on an international level is too slim. Building a network under the association would ensure our future at the top, and maybe even improve our current position. The problem isn’t a national problem, it is an international one. A possible solution would be changing NOC*NSF’s bylaws to accept eSports without being acknowledged by SportAccord, but that is unlikely to happen without a sign of support. It is possible to petition them to make an exception for eSports, so that we (the Dutch) can have a legitimate future for the fastest growing branch of sports out there, eSports. To make a small return to the article, self-described videogame-expert David Nieborg poses the following question: “what would the NOC*NSF do if a company decided to pull the plug on a game?”. I think that’s fairly hilarious. Would they stop supporting Football if Adidas stopped making Football-shoes? A game is just a platform for pro-gamers to show their skills. If one game stops being played professionally, another will pop up. Gamers change games. Grubby went from WC3 to SC2, SingSing went from HoN to DotA2. It is not the games that are important – it is the way individual skills can be portrayed.